Tire Services - Parker Automotive Inc.
Parker Automotive offers a variety of tire services in Parker, CO.We sell, balance and install new car, truck and SUV tires and rotate snow tires at very competitive prices. Tires play a very important function with your vehicle as they are the connection between the road and your vehicle. Even though tires are easily maintained, this key part of your car is overlooked. Most people don't consider the how much a design of a tire can affect vehicle performance. If you want to maximize mileage, let Parker Automotives off you tire maintenance. Will guide you through the basics of tire care and maintenance. Letting you know the perfect times to seek alignment, tire rotation, and balance. Parker Automotives will also guide you on when the best time to purchase new tires are and how to choose the right set. Improper tire rotation is key to premature tire wear. Properly inflated&nbsp;tires tend to have durable sidewalls and last longer if your tires are underinflated than the sidewalls will wear down quicker. Tires that are over-inflated will lead to excessive middle tread wear. Wheel balancing services have a chance to relieve some types of improper tire wear such as excessive lean. 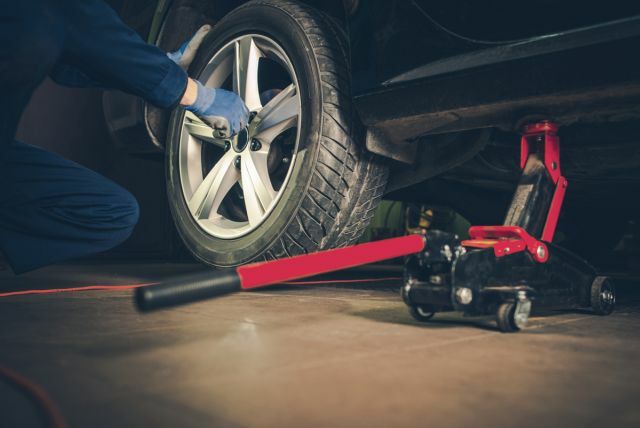 Our staff will be able to decide whether a rotation or tire balancing service can settle resolve you tire problems. Parker Automotives Mechanics will take care to follow inflation standards recommended by manufacturers. The key benefits of proper tire inflation and alignment provide reduced rolling resistance, proper traction, reduced tread movement, and provide adequate load carrying capacity. Parker Automotive aims to provide better tire service in Parker, CO.